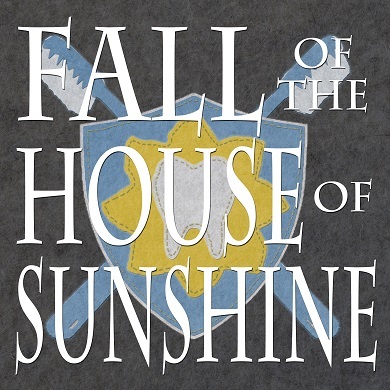 Brooklyn, NY, February 13, 2017	(Newswire.com) - Roi Gold Productions is proud to announce the arrival of The Fall of the House of Sunshine a new musical podcast adventure. The weekly musical adventure chronicles the murder of beloved kid’s show host Brushee Sunshine. The suspects are his brother Flosso, his fiancé Bracletta the beauty with the braces on her teeth and her legs and their odd assistant Elsa, a woman who acts like a dog. The man tasked to untangle the mess, Detective Dankent, is a world weary police inspector with a past. And the show – The Sunshine Smile Hour it seems a little too obsessed with teeth and ties to the odd city of New Molar. 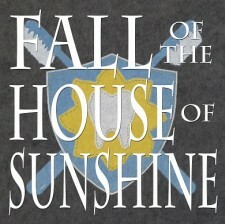 The Fall of the House of Sunshine will be available starting February on all major podcast platforms and at www.podmusical.com. The whole first season of 12 episodes will be released on a weekly schedule with one week off every three episodes. For more information or to reach the cast and crew for interviews or other publicity, please email PodMusical@gmail.com.